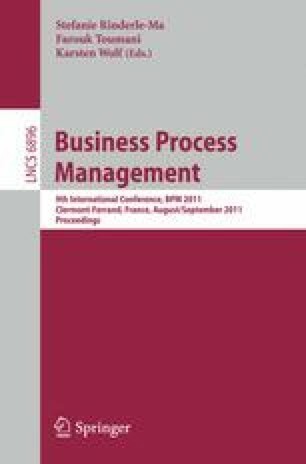 Traditional process elicitation methods are expensive and time consuming. Recently, a trend toward collaborative, user-centric, on-line business process modeling can be observed. Current social software approaches, satisfying such a collaborative modeling, mostly focus on the graphical development of processes and do not consider existing textual process description like HowTos or guidelines. We address this issue by combining graphical process modeling techniques with a wiki-based light-weight knowledge capturing approach and a background semantic knowledge base. Our approach enables the collaborative maturing of process descriptions with a graphical representation, formal semantic annotations, and natural language. Existing textual process descriptions can be translated into graphical descriptions and formal semantic annotations. Thus, the textual and graphical process descriptions are made explicit and can be further processed. As a result, we provide a holistic approach for collaborative process development that is designed to foster knowledge reuse and maturing within the system.